Domna joined Watsi on November 11th, 2015. Three years ago, Domna became the 1610th member to automatically support a new Watsi patient every month. Since then, 3,496 more people have become monthly donors! 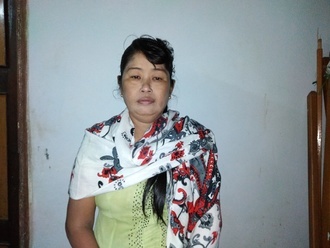 Domna's most recent donation supported Win, a woman from Burma, to fund gynecological surgery. Domna has funded healthcare for 50 patients in 11 countries. Raymond is a young boy from Kenya. His mother is a hairdresser, and his father is a construction site worker. Since he was born, Raymond has had difficulty hearing. He has been diagnosed with severe hearing loss. Without treatment, Raymond may not develop the ability to speak. Fortunately, Raymond is scheduled to receive hearing aids on February 5. His family needs help raising $929 to pay for the devices. Raymond’s mother says, “I hope to have my son fitted with the aids to at least be able to lead a normal life like any other child." Zembere is a farmer from Malawi. He lives with his wife and four children. When he finishes working in the fields, he works in their garden. He also sings in the choir in his free time. Since November, Zembere has had a right inguinal hernia. This hernia causes pain and prevents him from working, making it difficult for him to grow food for his family. Fortunately, on December 4, he will undergo hernia repair surgery at Nkhoma Hospital, our medical partner's care center. Our medical partner, World Altering Medicine, is requesting $334 to fund Zembere's surgery. The requested money pays for supplies, medications, and six nights of hospital stay. He says, "I am so happy for this help, may God bless you and this program!" Daw Win is a 45-year-old widow from Burma. She lives with her daughter and she works as a vendor selling newspapers. Daw Win was diagnosed with a heart condition that involves a malformation of the mitral valve, the valve between the left atrium and left ventricle. This valve controls the flow of blood, but certain conditions may cause blood to flow backward or the valve to narrow. Currently, she experiences chest pain, difficulty breathing, and heart palpitations. She cannot walk long distances and feels more tired when she is active. 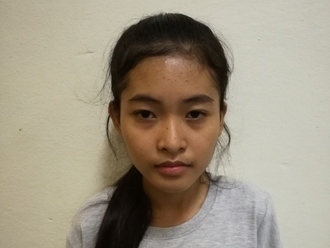 Our medical partner, Burma Children Medical Fund, is requesting $1,500 to fund a mitral valve replacement for Daw Win. 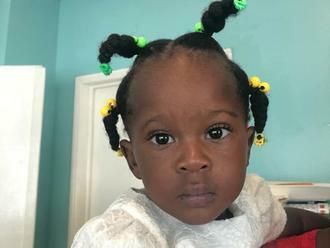 The treatment is scheduled to take place on August 8 and, once completed, will hopefully allow her to live more comfortably. Daw Win says, "I want to go back and work after my treatment." Branton is a toddler from Kenya. He has one sibling. His mother is a stay-at-home mother, and his father is a taxi driver. Branton was born healthy, but when he was one year old, his mother noticed an abnormal growth on his head. A few weeks ago, Branton was diagnosed with a brain tumor. The family was referred to our medical partner's care center, where an MRI was performed and surgery was recommended. If not treated, Branton is at a risk of losing vision and suffering brain damage. Fortunately, he is now scheduled to undergo surgery on May 9. His family needs help raising $1,500 to fund the procedure. “These are the worst news one could ever receive. We are optimistic though and hope for the best,” shares Branton’s mother.